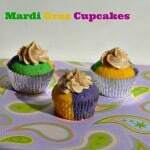 Mardi Gras is coming! It’s a little earlier then normal this year because Easter is so early. 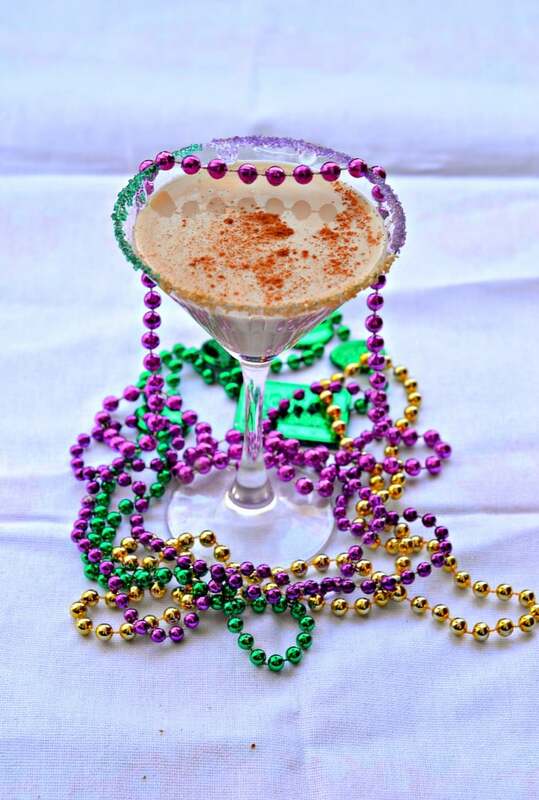 So many people plan Mardi Gras parties with bright beads, Cajun food, and lots of drinks. Let’s talk about Mardi Gras. Why do people celebrate it? When I asked a couple people most of them said it was a big party and time to eat and drink everything they could. This is partially correct. 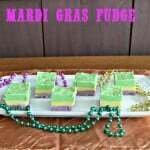 Mardi Gras is French for Fat Tuesday which is the day many people eat richer, more fattening foods before the first day of Lent. Places have parade, masquerade balls, and tons of delicious foods. While I don’t often do much for Mardi Gras I usually make something for the event. I do give up something for Lent every year so I normally make something that I’ll be giving up as well as something in the traditional green, gold, and purple colors of the day. The last few years I’ve made fudge, cake, and cupcakes. 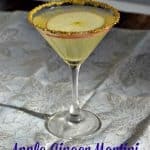 So this year I wanted to go in a different direction and make a super fun cocktail. 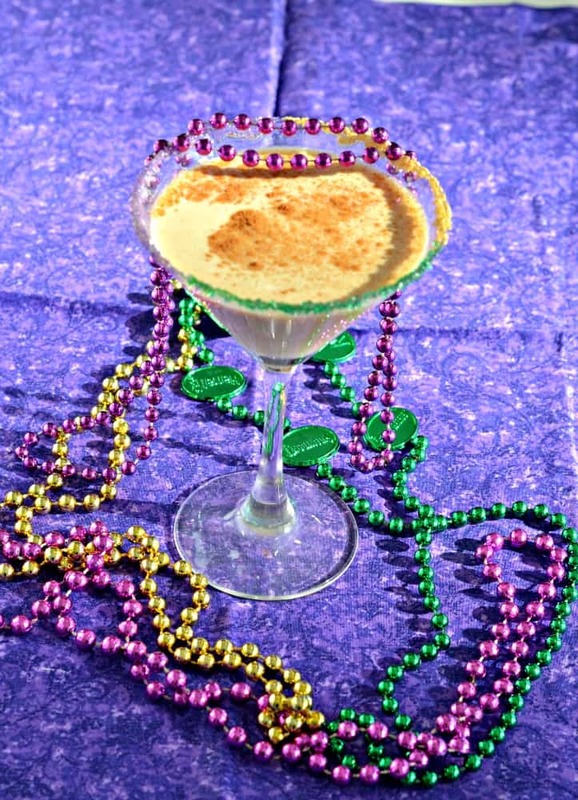 Since King Cake is such a big tradition I decided to turn it into a delicious cake and cinnamon flavored cocktail! I mixed up a martini then added in some cream to round it out. It tasted like cinnamon cake and was so pretty with green, gold, and purple sugar on the rim. 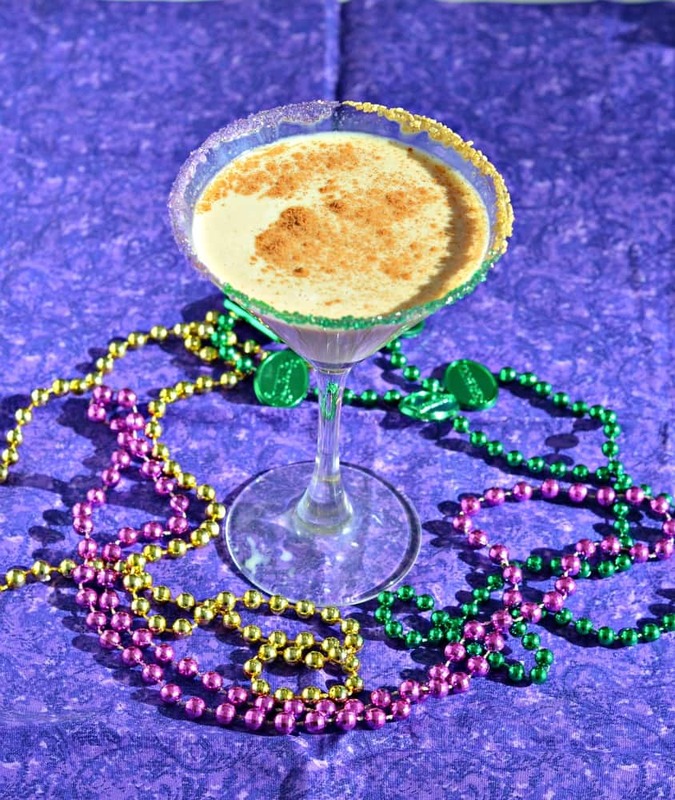 It’s the perfect Mardi Gras cocktail to start the season of Lent. 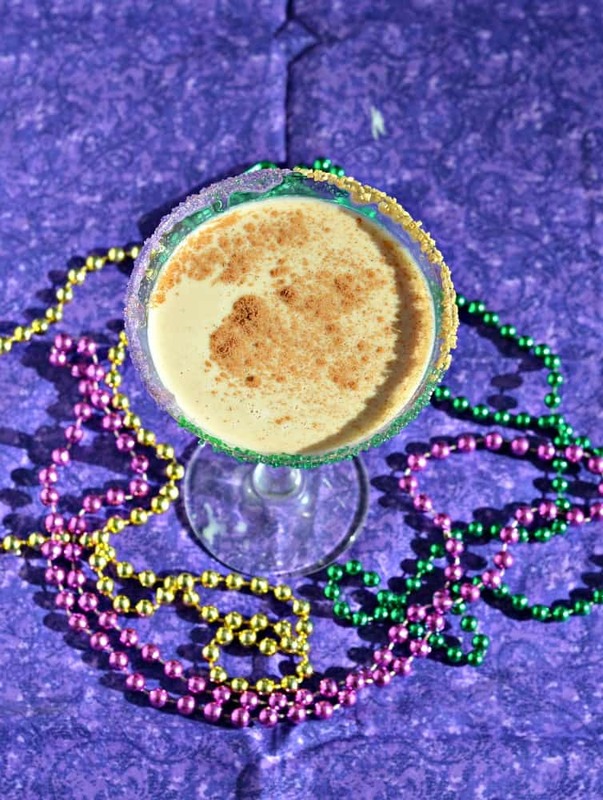 Enjoy this fun Mardi Gras cocktail that tastes like a cinnamon King Cake. In a large shaker filled with ice, add the vodka, orange liqueur, chocolate liqueur, and half and half. Shake vigorously for 30 seconds. Pour the sprinkles into 3 small bowls. Wet the lip of a martini glass with a lemon slice or a bit of honey. Dip ⅓ of the rim into the gold, then the green, then the purple. 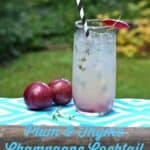 Strain the cocktail into the glass. Sprinkle with cinnamon and serve immediately.